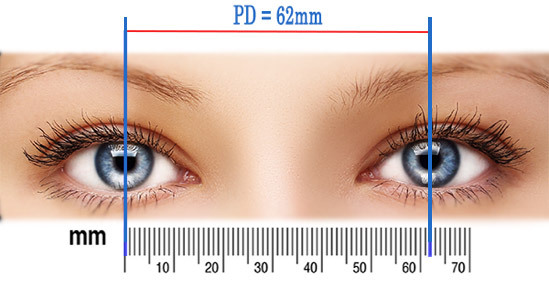 Do you have many concerns when you purchase glasses online such as: will my prescription be accurate? Will my lenses be thin? And how will I look in my new glasses? While the first three we can solve with an experienced optical staff, only you will know whether your new glasses project the look you need. The best way to see how the glasses look on your face is to use our virtual mirror which places the frame on your face and gives you an indication of how the glasses fit and look. This process is fairly easy to do, but there are many shapes and styles to filter through, so first you must know which frame shapes to try. Generally, when matching the right shape, it should NOT match with your facial features shape. That’s right, the shape of the frame needs to be mismatched with your face in order to compliment your features. For example, round or circle shaped glasses will compliment a rectangular or square shape while a rectangle shaped frame will compliment a rounder face shape. If you are not certain about which face shape you have, simply trace it using a mirror and a dry erase marker and the traced shape is your face shape. Equally wide forehead and jaw complimented by full cheeks and a rounder chin. More width than depth is recommended and the shape should be rectangular. The rounder your facial features, the squarer the frame needs to be. A square face shape has more angular lines and a strong yet horizontal jawline almost equal to a broad forehead. This shape project a natural power that benefits from a softer frame with thinner outlines. Upswept frame shapes are recommended for ladies with this type of face. Narrower forehead extending to wider but angular cheekbones and then to a narrower chin. Individuals with a diamond face shape, should pick a frame that has decorative elements along the upper frame such as a browline. Rimless and cateye will also match with this face shape. An oval face has slightly wider and higher cheekbones in addition to a jawline that is a little narrower than the forehead. Almost any shape of frames will work with an oval face shape, but in order to keep contrast try and pick a wider frame yet with softer lines and bolder colors. A heart face will have a broad forehead, and high and angled cheekbones gradually narrowing towards the chin. We recommend picking a frame that has a wider or thicker upper top such as a browline, aviator or cateye with light decorative elements and colors. At Overnight Glasses we aspire to provide you with the best vision correction available and provide you with eyewear that will compliment your natural features while still maintaining maximum comfort. Please do not hesitate to contact us for shape recommendations or for any help needed and one of our experienced opticians will gladly assist you in picking the right shape. Call us at 855-830-3339 (Mon-Friday, 9:30am-6:00pm PST) OR email us at [email protected].